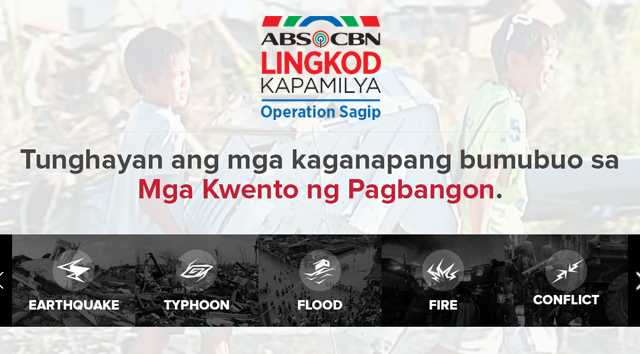 Operation Sagip, formerly known as (Sagip Kapamilya) is the emergency humanitarian assistance program of ABS-CBN Lingkod Kapamilya Foundation, Inc. We provide food and non-food relief to affected communities of disasters, as well as engage in rehabilitation and disaster risk reduction projects. Since 2004, Operation Sagip has been very active in Disaster Relief and Rehabilitation Operation (DRRO). Our staff has crisscrossed the entire country. "Tinulungan pong bumangon ang San Isidro, Busuanga, Palawan pagkatapos ng bagyong Yolanda. Pinatayuan ng dalawang classrooms ang school namin. Salamat sa lahat ng tumulong". Your time, talent and resources can change lives of those in need. 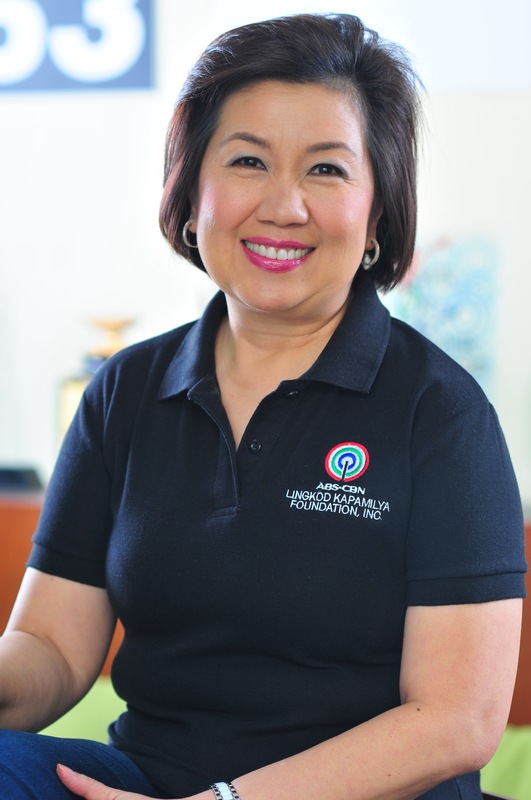 Together, we can make a world of difference through the emergency humanitarian assistance arm of ABS-CBN Lingkod Kapamilya Foundation, Inc., in the service of the Filipino people. Operation Sagip embarks on rehabilitation projects to build back better the lives of affected families through its donors. Operation Sagip needs volunteers that can help respond to our fellow Filipinos affected by disasters and calamities.